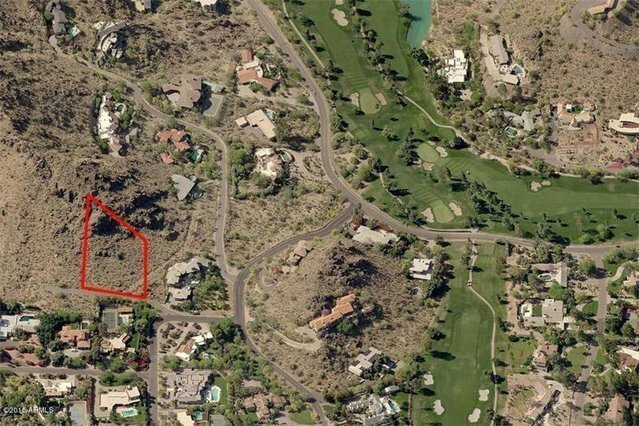 Landmark luxury future homesite in Paradise Valley. Sprawling views stretch for miles in every direction peering over Paradise Valley Country Club, down town city lights and north to Pinnacle Peak. There is literally no comparable property which is situated on a private street that dead ends into 40 acres of dedicated mountain preserve. The views, the setting, the ultimate privacy and solitude are unparalleled. Sewer, water, phone, and electric are readily available. Adjacent lot 5221 E Cheney Dr #12 also available for sale.